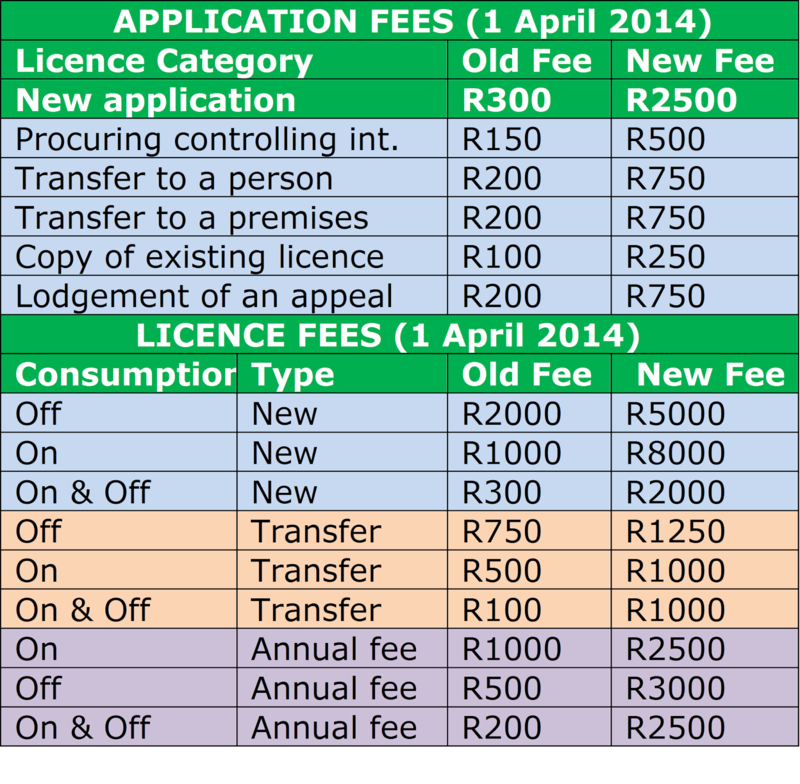 Licence Fees – Liquor licensing fees for Eastern Cape liquor licence holders and prospective liquor licence holders, have been increased dramatically - effective from 1 April 2014. The increase was announced in terms of a special provincial gazette published on 28 March 2014. Although the fees are more or less similar to the fees charged in terms of provincial liquor acts, it will come as a shock to current and future liquor licence holders of the Eastern Cape. The increase comes on the back of another increase in the fuel price. It also follows shortly after the annual increase in excise duties, which inevitable are passed on to the consumer. (Click here for a humorous view of the Budget increases). The most worrying is the more than 800% increase in the lodgement fee – from R300 to R2500. Similarly, the once-off licence approval fee for on consumption liquor licences has been increased from R1000 to R8000. The same fee for off consumption liquor licences has been raised from R2000 to R5000. Many would have difficulty seeing the logic of differentiating between licence fees for on and off consumption liquor licences. The annual liquor licence fee for an on and off consumption licence has been increased more than 1400% - from R200 to R2500!